8.6" x 14.3" stitched on 14 count. 6.7" x 11.1" stitched on 18 count. Brief Rest cross stitch pattern... 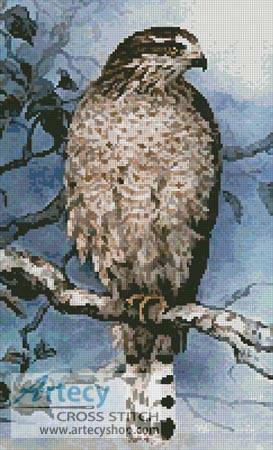 This counted cross stitch pattern was designed from the beautiful artwork of Kayomi Harai. Images Copyright 2006 Kayomi Harai. Kayomi's website can be found here http://kayomiharai.com Represented exclusively by Applejack Art Partners.